Over the past decade, many academic institutions across the continent have imagined and realized remarkable physical facilities for education and research, those serving particular disciplinary communities and those contributing to a campus-wide eco-system of spaces for learning. This is a timely moment to step back and explore what is working now, then to look forward and consider how to embrace the future as the next generation of fine arts spaces is envisioned. This session will include an iterative conversation, sparked by stories from the Emily Carr University of Art & Design, the Virginia Commonwealth University and the Learning Spaces Collaboratory (LSC) community about what works, and what questions were asked during planning. Participants will be invited to share their recent experiences. The conversation then continues with a focus on questions for the future, those building on what we are learning from research, practice and personal experience that begin to push the envelope and challenge planners to move out of their comfort zone. Questions emerging from within the LSC community will set the stage for further discussion among participants: e.g. Do spaces (de) motivate learners? How do you manage serendipity? 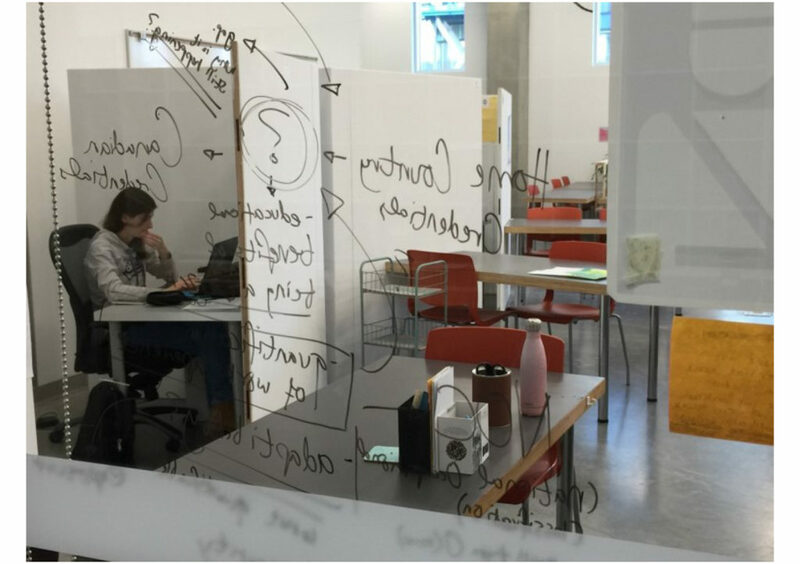 Can “space” go beyond nurturing collaboration to prompting problem-solving and creativity? How do we help form relationships, environments and events that are mind and heart-altering that challenge, refresh, inspire, and transform how learning happens? What is the impact of space on the learner? When students enter into our spaces for learning, what do we hope their response will be? These and many other questions are being asked by teams of academics and architects now. Fine arts deans are uniquely qualified to tackle these questions in imagining their spaces for learning for their broader campus community. What questions do you think should be on the table when envisioning fine arts spaces for the future? Responses to that question will be gathered and posted for review following this session.